The area collectively referred to as the West is essentially comprised of four states – New Mexico, Arizona, Utah and Nevada. The diversity in this region has to be seen – and experienced – to be believed. 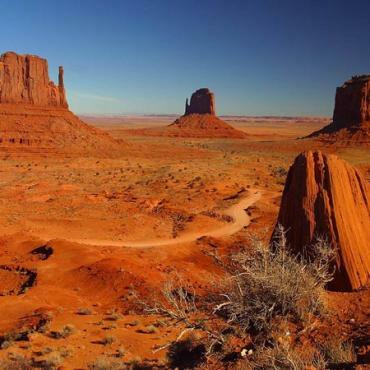 The arid deserts of Arizona with their majestic cactus forests and unique wildlife. 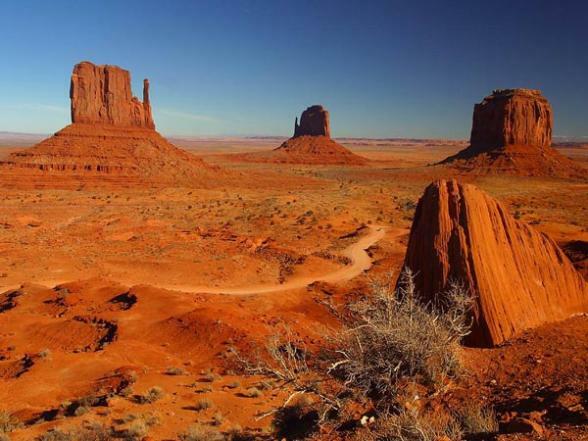 The lush mountain spring wildflower meadows of Utah and the tranquil solitude of Monument Valley. The majesty of the stalactite-bedecked Carlsbad Caverns and the slightly wacky Roswell. And of course, the joyous assault on the senses that is Las Vegas. No where else in the USA will you experience the wide open space and power of Mother Nature that you will in America's West. It's as enchanting as it is mesmerising. Annually more than 700,000 visitors come to explore the geological treasures of the Carlsbad Caverns National Park. Carlsbad Caverns was once the site of an ocean reef. After the waters receded.